We hear all about eating for a healthy heart or staying physically fit through exercise. 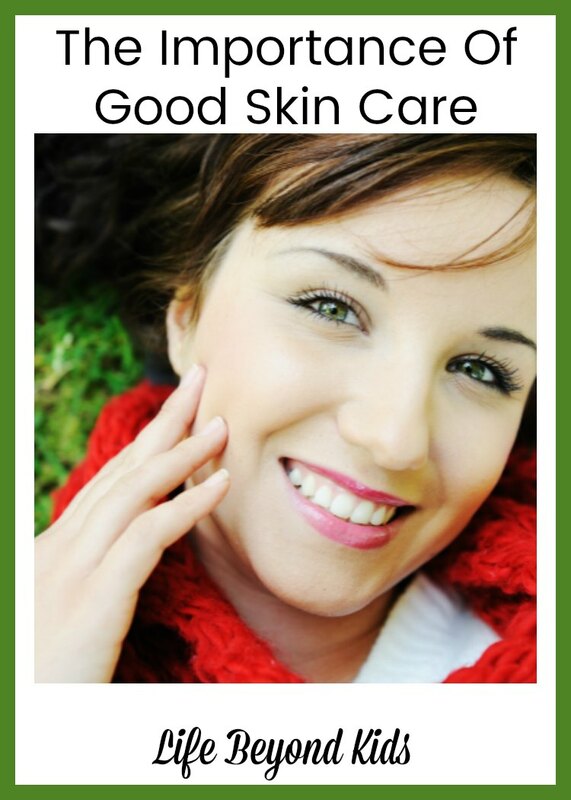 However, do you think about the importance of good skin care? 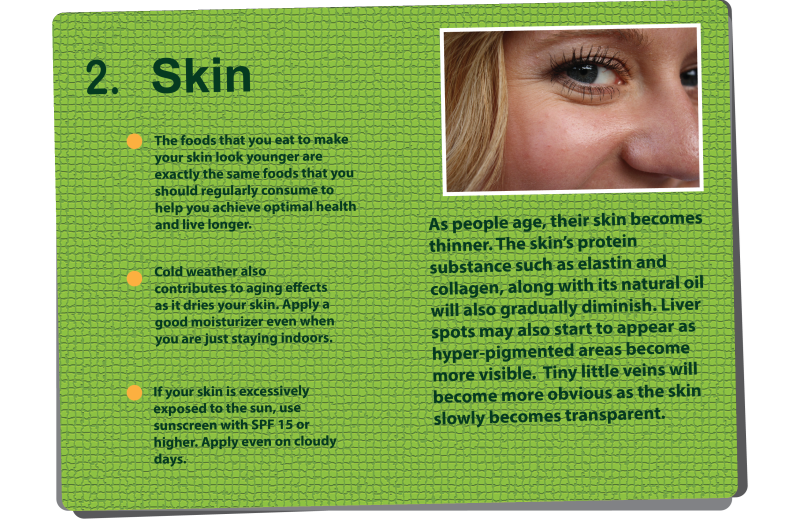 Your skin (called the epidermis) is the largest organ of the body. It is the first line of defense for your body. This protective shield is tough but thin, waterproof but able to absorb moisture, strong but soft and in some cases, highly sensitive. Your skin needs proper care and attention in order to fight against outside intruders such as bugs, germs, scratches, abrasions, and other wounds, and of course the different elements such as extreme cold and heat. The epidermis is also the main protector of the second layer of skin, or the dermis, where many important physical structures such as sweat glands and hair follicles are kept. When kept healthy, your skin will be beautiful, strong, and durable, able to keep you safe from harmful outside agents and healthy both inside and out. Your skin protects your body from the outside world. Protecting the dermis and keeping you safe from the elements and outside intruders are just two of its jobs. Your skin also protects against harmful UV rays from the sun, works to repel harmful bacteria and viruses, and even contains a number of cells that support your immune system by constantly fighting unknown substances from entering your body. The body is assaulted by germs and viruses all day long. While we can still get sick, it is no doubt impressive how much the skin fights off and protects the body from on a daily basis. Like everything in life, things change with age. Your skin is no exception! When first born, your skin is incredibly soft, pliable, and stretchy. It acts as a plush covering your entire body that grows and stretches with you. Baby skin heals well, doesn’t leave dark or tough scars, and contains a healthy glow. This is because the skin is fresh and new, free from damage from the elements, man-made products, and activities such as shaving or waxing. While things like sunshine, wind, makeup, and shaving are not bad, there is no doubt that they change your skin, causing it to lose its youthful elasticity and softness. As you age, those years in the sun, wind, water, and other elements will change your skin, perhaps making it tougher, dryer, or even more sensitive. The elderly often have very delicate skin that is prone to wrinkles, bruises, and tear or cuts. While this is the natural progression of the epidermis, you can combat this decline by actively taking care of your skin throughout your life. When well taken care of, people have found that their skin has few wrinkles, remains soft, and even keeps its youthful glow over time. Though you cannot stop your skin from aging, you can slow the damaging effects of age with regular skin care routines. Regardless of the type of skin you have, you need to know what kinds of skin care products are good for you. Some people focus exclusively focus on their face when, in actuality, all the skin on the body needs to be cared for. Skin care is important at any age. The earlier you start cleaning, toning, and moisturizing skin, the less your skin will age over time. It is far easier to prevent problems than correct them. Whether you prefer a clean, classic appearance or an elaborate makeup look, being beautiful starts from the inside. It is very important to nourish the skin to make the most of your natural beauty. This makes makeup look better. Even if you don’t wear a drop of foundation, lipstick, or eyeliner, you can still maintain a fresh and glowing complexion. Is having great skin important to you? Good article. I totally agree with that all the skin of the body needs care. I do alot of DIY methods to skin my skin moisturize. I skin brush my whole body daily before I take a shower and keep the dead skin cells off. It also really does invigorate your whole body, You certainly are right about being beautiful starts from the inside out. Make up can't hide an ugly heart. Thanks for your tips. Shared on twitter & pinned. Thanks Laura for hosting the Healthy Living Link Party where I found this post. It's a good one and I pinned it. Be well and have a great week. So happy to hear you enjoyed this post. I hope you have a great week as well. I'm enjoying warm temperatures and the sunshine as much as possible.